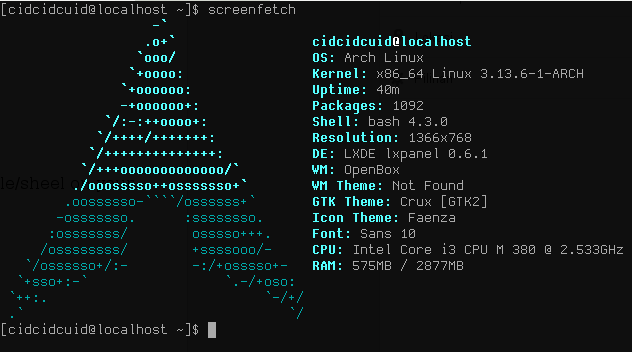 If you want to show system information in terminal/shell/konsole on archlinux, there are two command to show archlinux system information with ascii style. Screenfetch & Archey. Screenfetch is available on official repository, then archey available on AUR. 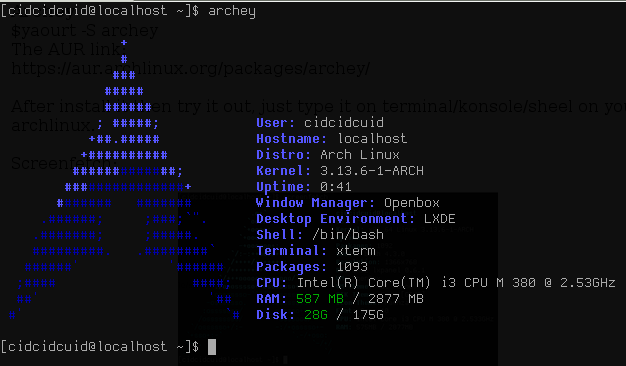 After install it then try it out, just type it on terminal/konsole/shell on your archlinux. 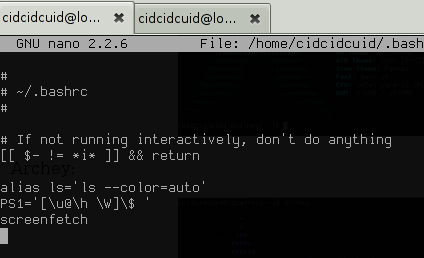 To make it auto show when opening terminal/shell/konsole, add the command on .bashrc files. add the end of the line "screenfetch" or "archey", then save it.